Data in this report are drawn from the panel wave conducted September 24-October 7, 2018. 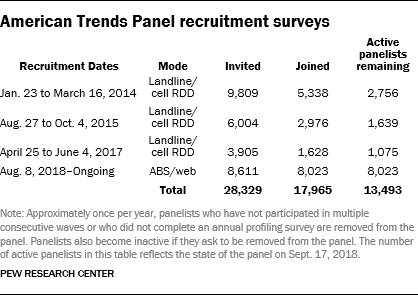 A total of 10,683 panelists responded out of 13,492 who were sampled, for a response rate of 79%. 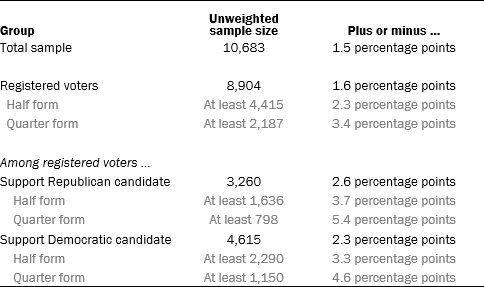 The margin of sampling error for the full sample of 10,683 respondents is plus or minus 1.5 percentage points.